With this product you can accumulate up to 90 Glitter Points. Attenuates spots in 4 weeks. 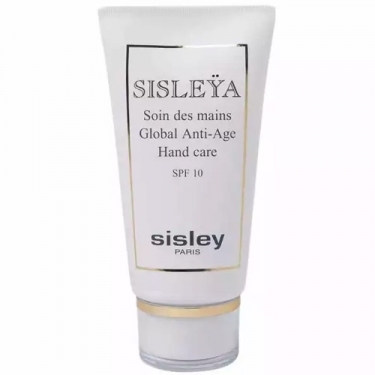 Sisleÿa Soin des Mains is a Sisley hand care cream to target signs of aging on the hands. This formula provides tripple action performance: lightening and anti-age spot action (Nasturtium petal extract), firming and anti-aging action (Apple seed extract) and repairing action: with its cocktail of moisturizing and nourishing active ingredients, the hands are more supple and better protected. 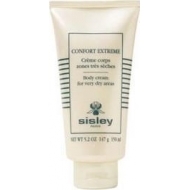 Harpagophytum and Liquorice extracts provide softness and suppleness. After four weeks? use, spots are visibly reduced in terms of intensity, numbers and size; the skin is firmed, the hands more beautiful-looking. Apply as desired to clean hands. Gently massage, paying particular attention to joints and wrists. This treatment is also recommended to fortify the nails and soften the cuticles. The fine, light texture is quickly absorbed and leaves no oily feeling.